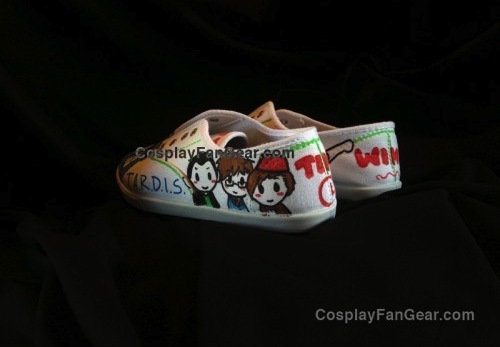 Ever wanted your own pair of Custom Shoes? Custom shoes are a timeless style that are still awesome and fun. 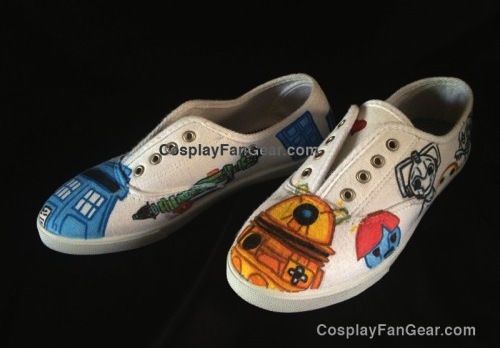 Ever seen people with those cool shoes covered in custom artwork of Doctor Who, Hetalia, or even Street Fighter? Well, don't you worry with whatever fandom you're in to, Cosplay & Fan Gear has got you covered! We have custom sneakers available online for sale, you give us the design and we make it to your taste. 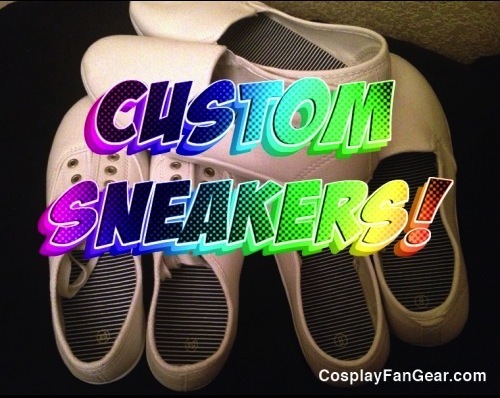 You can submit a request for custom shoes by clicking the link below! Phoenix Comicon 2013 was a blast, we had so much fun. There were so many great cosplays, nice people, and plenty of awesome merchandise to buy! The Arizona cosplay community was out in full force. Sure enough, Cosplay & Fan Gear, LLC were on the scene to take pictures and participate in the cosplay fun. Clara from Doctor Who, Fionna, Peppermint Butler, Princess Bubblegum, Cosplay & Fan Gear's Ice Queen and Fionna ball gown cosplay from Adventure Time. We'll be posting more photos of cool cosplays and products from our website. Also we will be at Saboten Con 2013 as exhibitors. 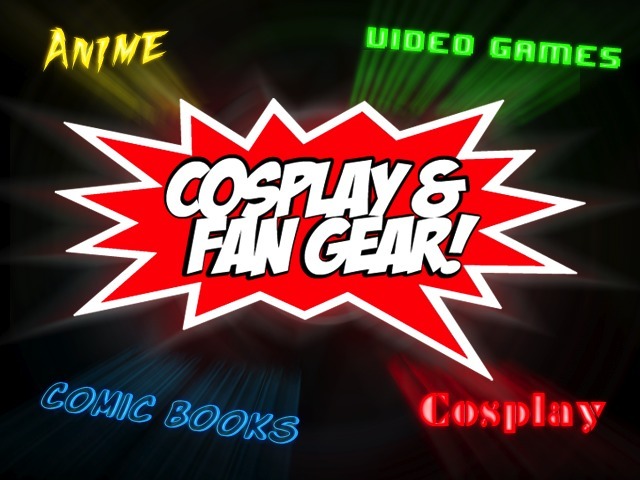 Welcome to the Cosplay & Fan Gear, LLC blog. We will post new product updates, free art, and community news here on occasion. We are a cosplay design studio based in Phoenix, Arizona, operating worldwide. We provide specialized services including custom cosplay costumes and cosplay accessories. We also create buttons, stickers and pixel art in various mediums. Furthermore, we offer professional seamstress services including dress making. We love anime, video games, comic books and more; as a result everything we make is a labor of love and care. We put our best into every product with the client as our number one focus. Each item is custom made for you, delivered right to your door via USPS Priority Mail. If you have any questions, including custom orders, feel free to contact us.